Hoboken Carpet Cleaning, Upholstery Cleaning, Rug Cleaning and more! Maid in Hoboken specializes in providing carpet cleaning and rug cleaning services to Hoboken, Edgewater, Weehawken, North Bergen, Jersey City and Guttenberg. Our Hoboken carpet cleaning team has experience cleaning carpets, rugs, upholstery and floors and offers home cleaning services and office cleaning services. Our outstanding reputation as Hoboken’s Carpet Cleaning Company of Choice allows us the opportunity to offer the most professional carpet cleaning with the utmost attention to detail. We employ only the best carpet cleaning technicians in Hoboken, Jersey City, Edgewater, Weehawken, North Bergen, and Guttenberg. Our Maid in Hoboken carpet cleaning services offer professional grade carpet cleaning, with ease of mind knowing that we are insured and bonded. Maid in Hoboken carpet cleaning services include the following services: carpet cleaning, area rug cleaning including free pick up and delivery, upholstery cleaning, spot and stain removal, organic cleaning, pet odor removal, grout and tile cleaning, water damage restoration, scotchgard application, stone and marble restoration, leather cleaning, fire damage restoration, and area rug repairs. At Maid in Hoboken Carpet Cleaning we care for our customers’ health and we offer cleaning techniques using only natural and eco-friendly solutions. Our natural cleaning solutions are made out of plants instead of chemicals, and include only natural ingredients. 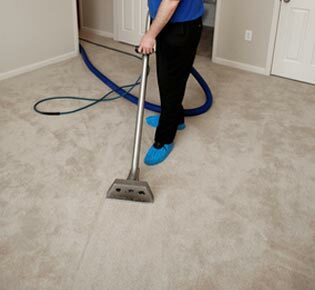 At Maid in Hoboken Carpet Cleaning, we guarantee our customer’s satisfaction.